Our vision is to be at the center of our clients financial lives' helping to plan and deliver financial security through an experience that integrates a trusted advisor, enabling technology, long term product value and financial strength. With a concierge level of service, my team's mission is to deliver a holistic plan that provides clarity and confidence in your financial wellbeing, today and in the future. That's where Jack comes in. Whether you are concerned for your own financial needs or those of your family or your business, Jack can help you identify your needs and provide complementary solutions. By listing your goals and objectives, identifying your assets and liabilities, and comparing what you have to what you want, Jack can provide you with risk protection and investment solutions that can help make your goals a reality. Let Jack help you achieve a secure financial future. Contributing to the community is a way of life for Jack Carr. 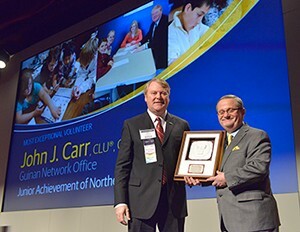 In honor of the work he does with Junior Achievement of Northeastern Pennsylvania, Carr has been awarded the 2014 Community Service Award by the Northwestern Mutual Foundation. The award is presented annually to 16 Northwestern Mutual financial professionals who demonstrate exemplary service with a local nonprofit. As part of the award, Junior Achievement of Northeastern Pennsylvania will receive a $25,000 grant from the Foundation in Carr’s honor. 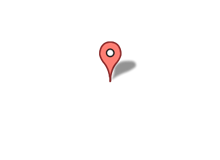 If you own or operate a business, Jack Carr recommends the following articles.